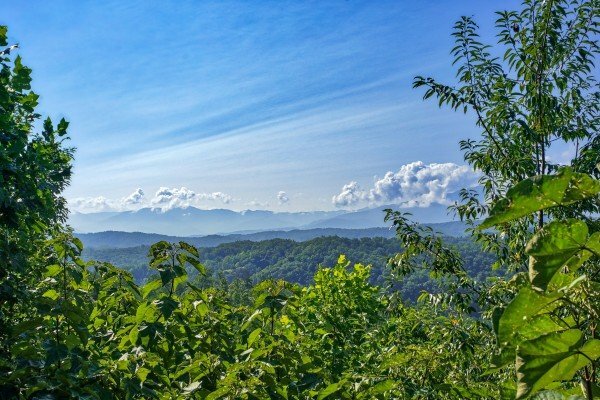 You don't have to grow wings to enjoy ANGEL'S MAJESTIC VIEWS! 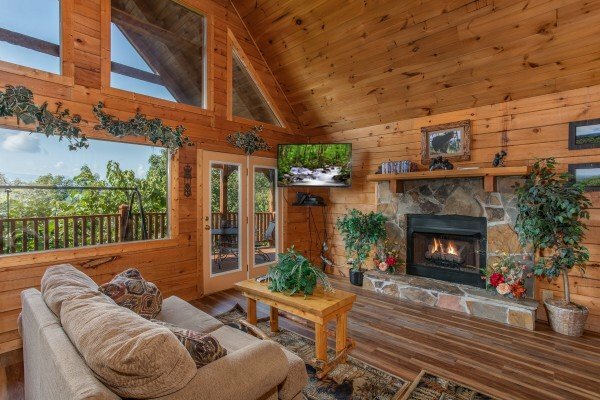 Guests can enjoy these heavenly views from the comfort of the vaulted wood living room, or the full length covered back porch! 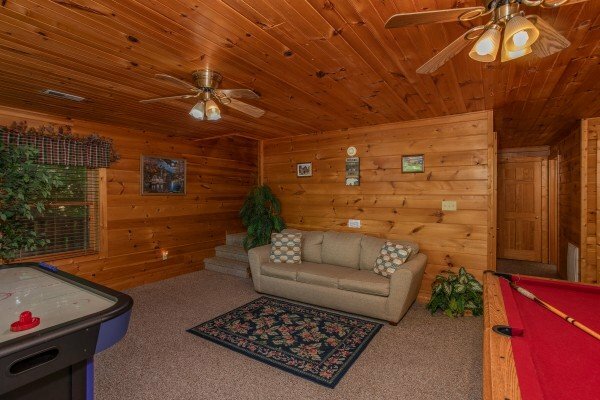 Enter from the wrap around covered porch into the tall vaulted living room with a stone/gas fireplace and LED TV perfect for snuggling up and enjoying your favorite movie. 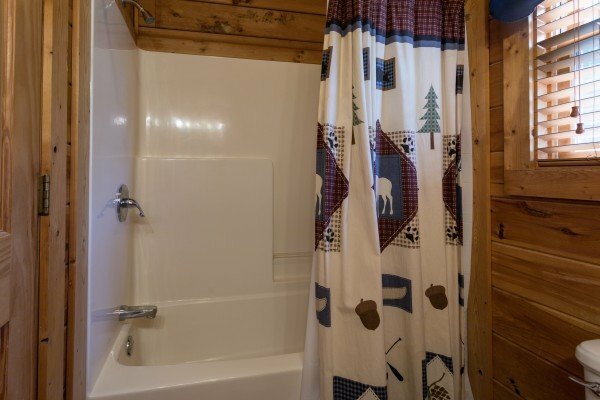 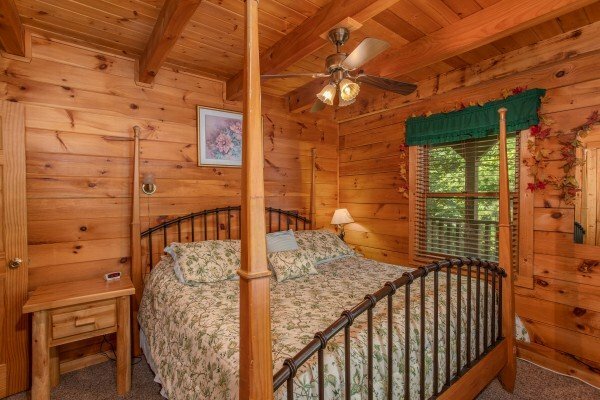 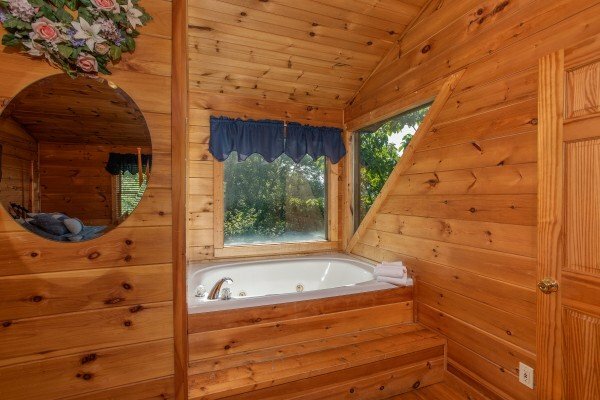 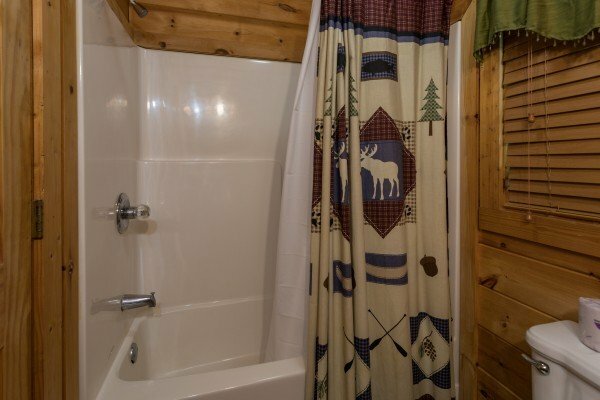 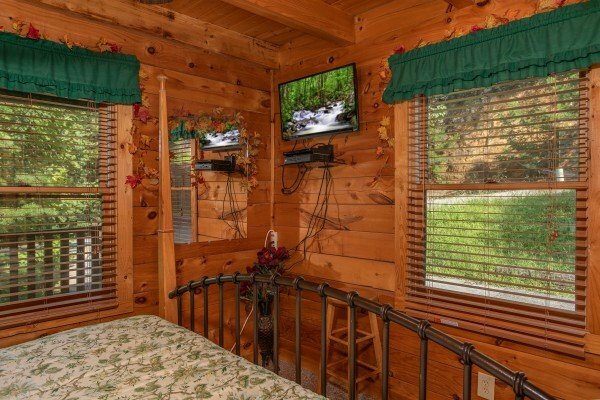 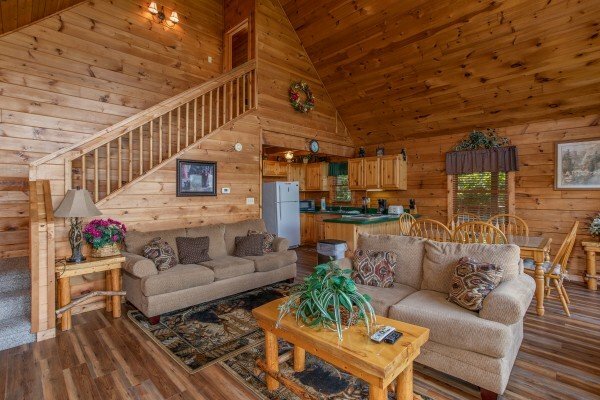 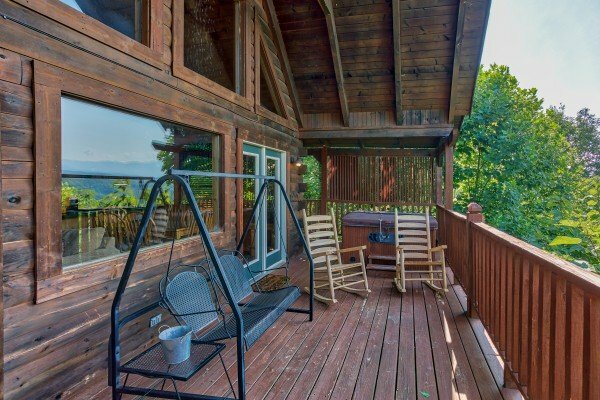 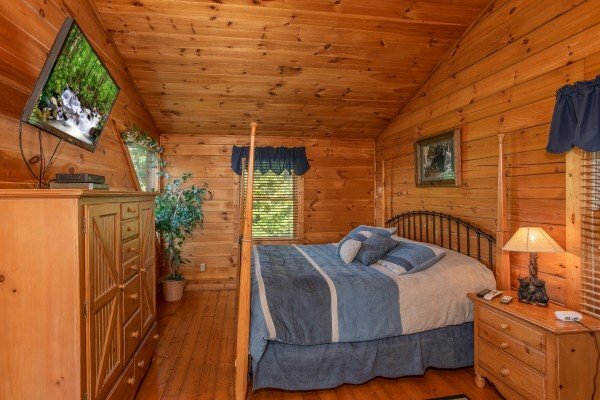 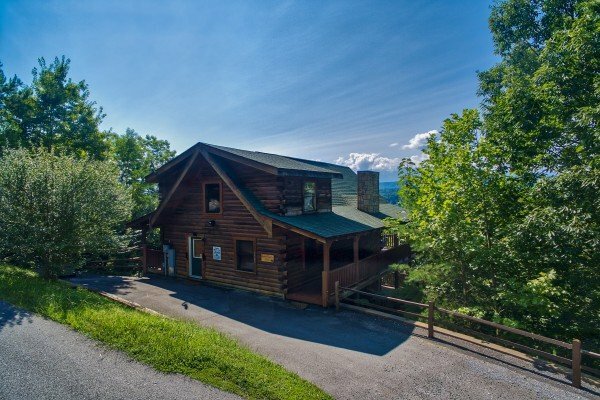 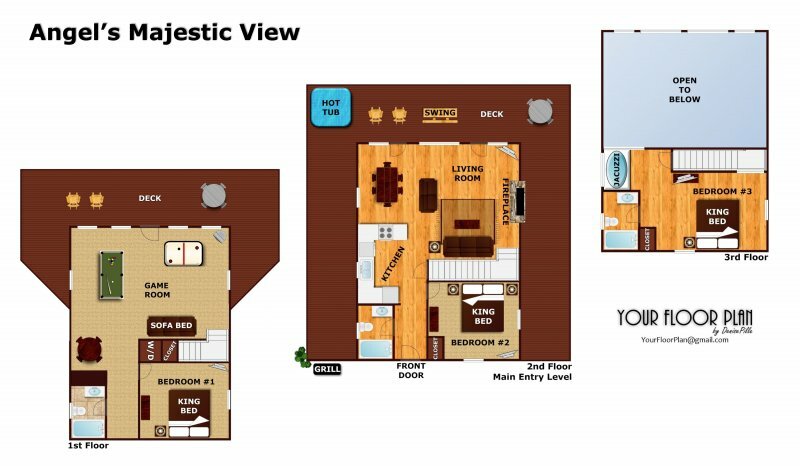 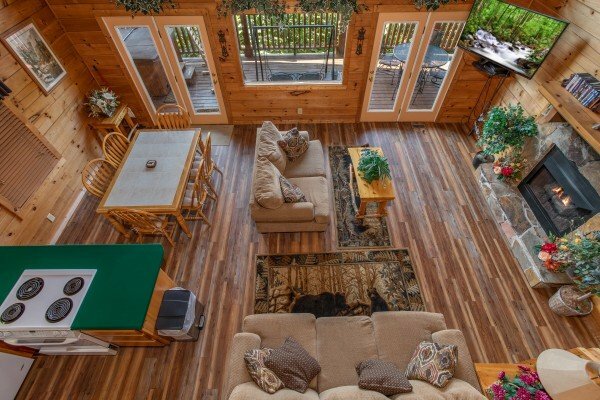 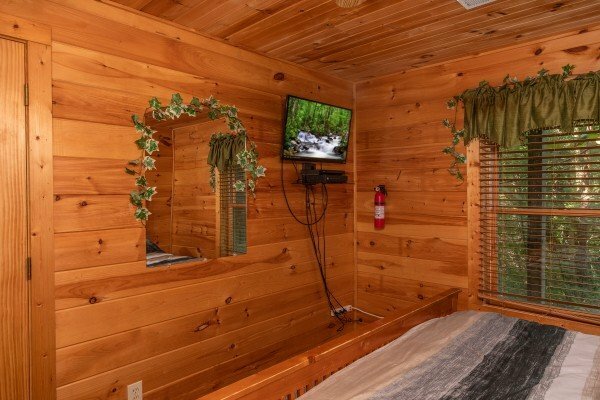 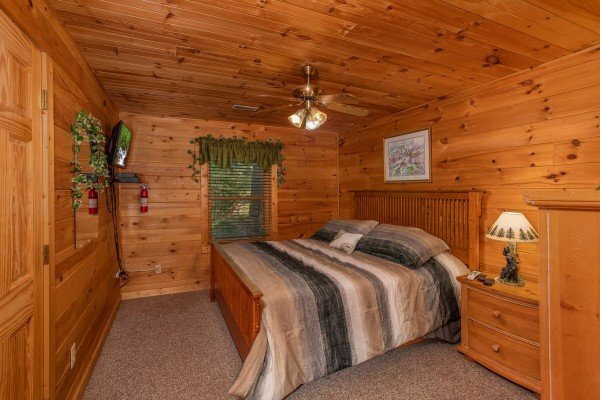 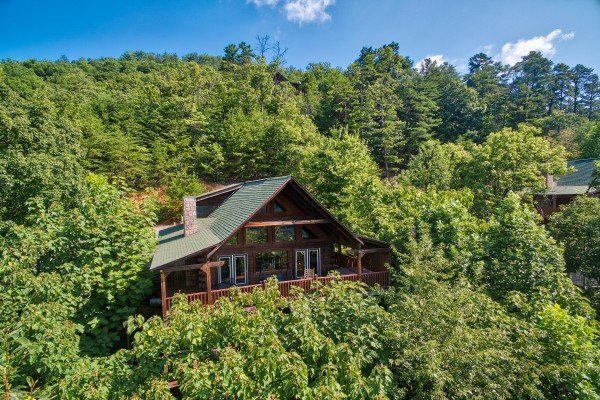 Three King bedrooms and three bathrooms make this cabin perfect for families or couples traveling together. 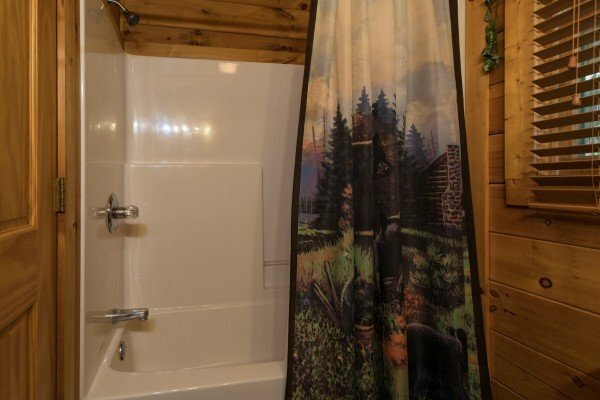 Don't forget the groceries. 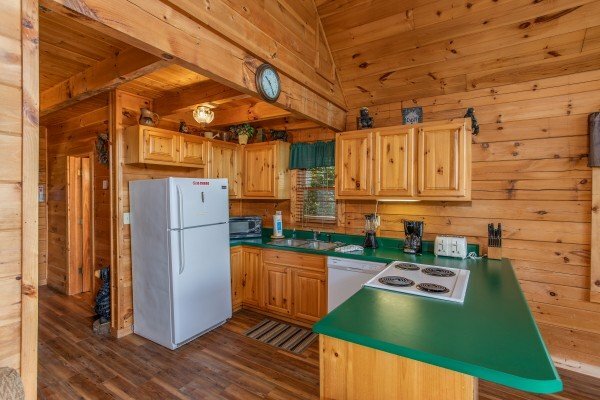 A full kitchen with breakfast bar makes eating in, or grilling out a joy. 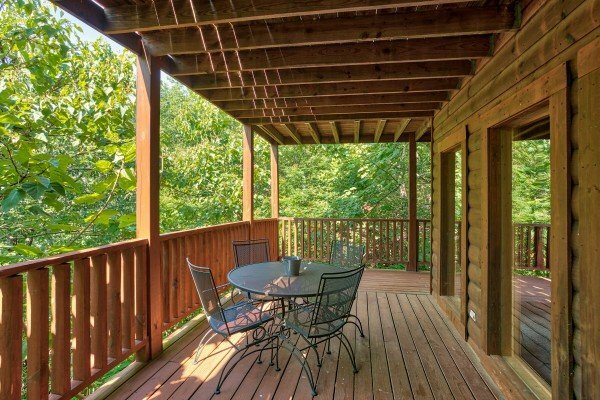 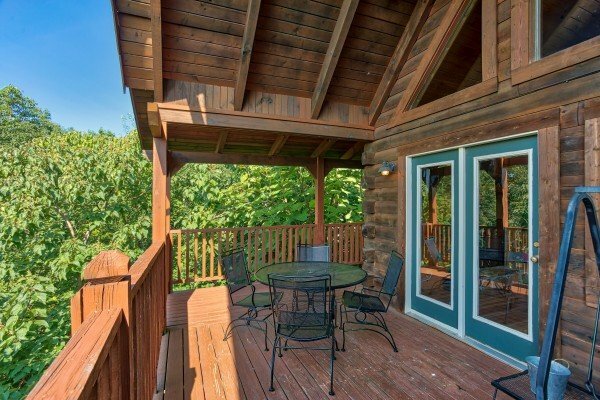 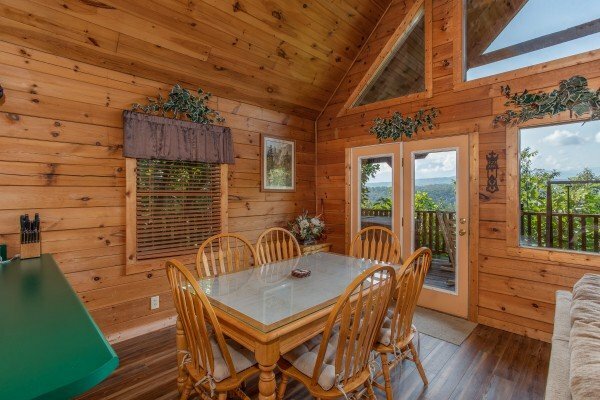 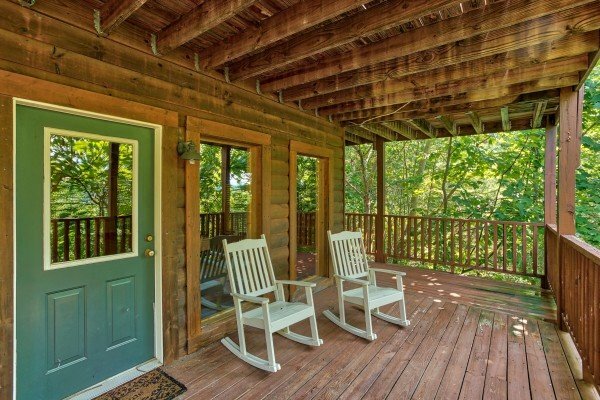 Dine in at the long wood dining table, or enjoy the view from the dinette on the covered porch. 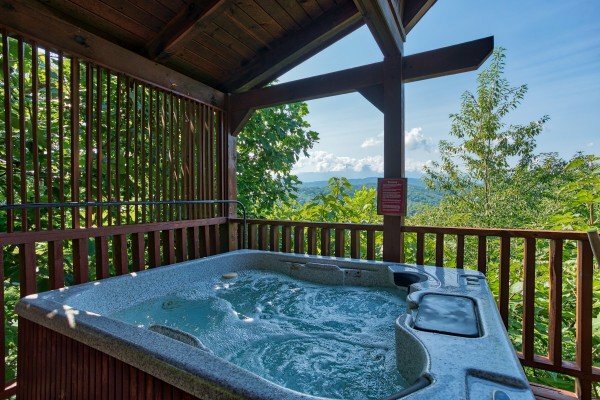 Then grab your coffee and head to the hot tub with long range mountain views for a relaxing morning spa session. 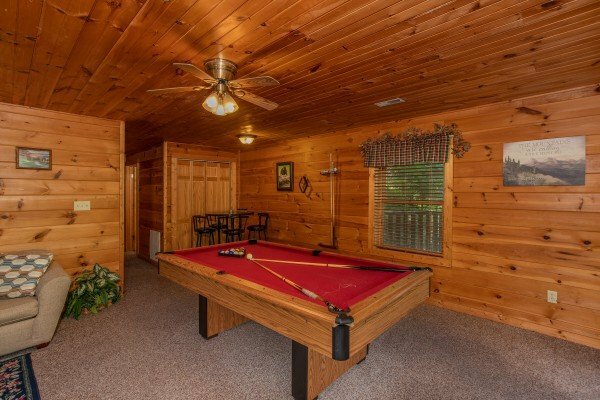 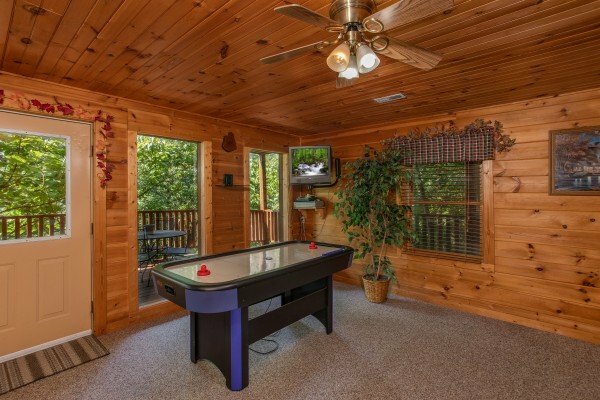 A large game room with pool table and air hockey keep the fun going day or night! 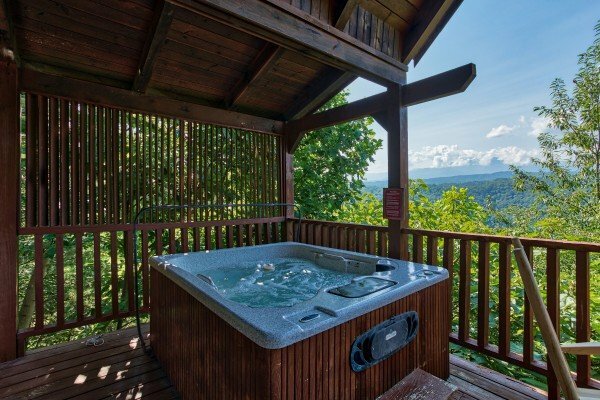 Make sure this season's getaway is heavenly and reserve your stay in ANGEL'S MAJESTIC VIEW!